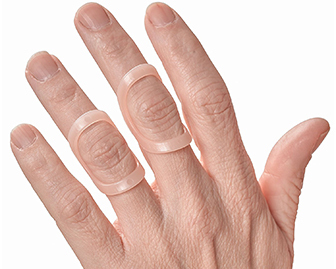 A finger splint that is meant to protect one’s joints. Worn over finger joints, it is great for people that have weak joints, fractures and deformities that need some support to maintain certain positions. Also commonly used by people with hypermobile joints needing increased stability.